Your Hardwood Flooring Installer of choice in the Nanaimo area of Vancouver Island, AAA Installations provides professional work at a reasonable price. 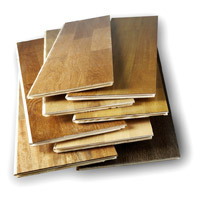 AAA not only provides hardwoord and laminate flooring installation services, but will also save you money on your purchase of top quality flooring through us. From Duncan to Courtenay / Comox, including Nanaimo, Parksville, Ladysmith, and between, your hardwood flooring installation pro is AAA Installations. Why Choose AAA Installations as your Hardwood Installer? Price - Cut out the retailer! Product warrantees are given by the manufacturer not the retailer, so save your money and buy your installation and your product through us. Choices - Installations for solid prefinished hardwood flooring, engineered hardwood flooring, unfinished hardwood flooring, Top nailed strip hardwood flooring and laminate flooring. Trim - We also do door casings, baseboards shoe molding or anything other finishing work you may need. More Choices - Installation services include nail down hardwood flooring, Glue down hardwood flooring, floating hardwood flooring and top nailed hardwood flooring. Hardwood Sales - We can save you money by buying the product directly from the manufacturer.